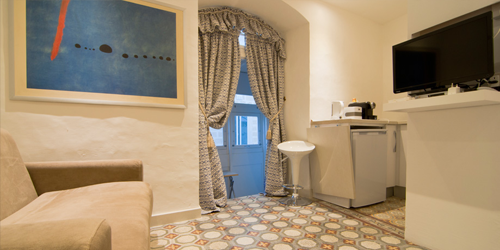 Lloyd House is an 18th century palazzo situated close to Auberge de Castille, which houses the office of the Prime Minister in the heart of Valletta. As the house stands on the highest point of the bastion walls of St Peter and St Paul, it commands breathtaking views of the Grand Harbour and the three cities of Senglea, Vittoriosa and Cospicua and of the low lying parts of Valletta itself. The house also overlooks the Upper Barrakka Gardens, a panoramic 18th century recreational park originally intended for the leisure of the knights of the Order of Saint John. This sense of leisured lifestyle extends from the park to the surrounding district of the capital, with its sumptuous palazzos of which Lloyd House is one. Originally the family residence of an old Maltese family, it has now been expertly converted along the lines of the general restoration of the entire capital, by a team of Maltese and Italian restorers and conservationists who have worked on some of the most prominent and outstanding structures within the city walls and beyond. 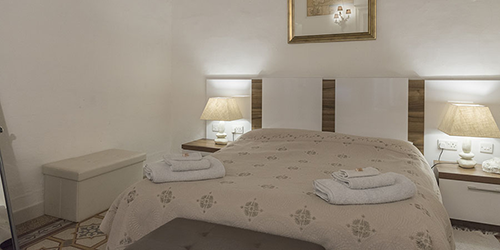 The STUDIO is a compact space ideal for one person on a short stay in the capital. I originally intended this as my residence, but after much thought I decided to bring my professional background in the industry of leisure and hospitality to the project of converting this architectural asset into a small number of highly luxurious suites as well as my own residence in the heart of the urban capital. This project had to reflect the mood of the restoration taking place in the rest of the city, with Renzo Piano's project for the City Gate, the Parliament House and the Opera Theatre. This means that highly modern structures synonymous with elegant living came to be housed in the original context which has been brought to life again. A fine example of this is the careful restoration of the vibrant ceiling frescoes which hark back to the time when the house was a good example of fine, urban living in the city. 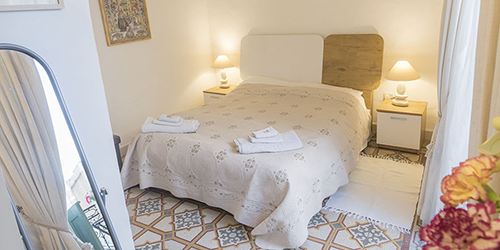 In addition, the multicolored and multi-patterned hand-made Maltese tiles, the local equivalent of the Middle Eastern carpet tradition, have been lovingly and attentively given a new lease of life. The Palazzo is an outstanding three storey corner structure which now houses three luxury suites and a studio apartment. My aim is to offer visitors both a foreign and a familiar experience at the same time, taking advantage of the centrality of the location and the quiet (nearly idyllic) ambiance to create a space that has the comfort of one's home while using the features of the permanents structures to provide a sense of being in an exotic destination where time is on pause for a while. The suites recreate the old space for modern times, and the furnishings are designed with amplifying the architectural and decorative details of the original rooms. In fact, authenticity is a factor that I am very much concerned with here. A stay at Lloyd House will definitely immerse you into the elegant lifestyle of our capital. I also wanted to create a unique space which welcomes those who want the intimacy of a home away from home; although the city and the rest of the island offer countless venues for dining and recreation, at Lloyd House you will find that dining or simply relaxing 'at home' is just as enticing. 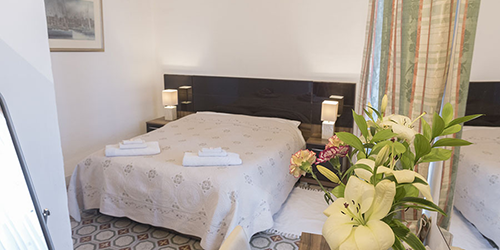 In fact, the suites are equipped with all the modern comforts for dining and relaxation, and you are invited to take full advantage by participating in this experience.